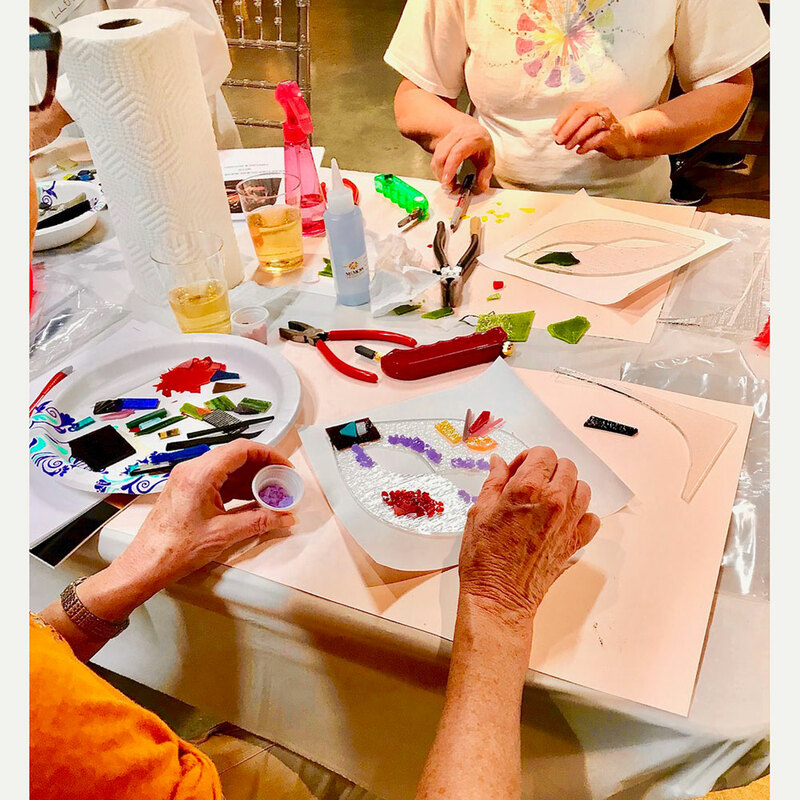 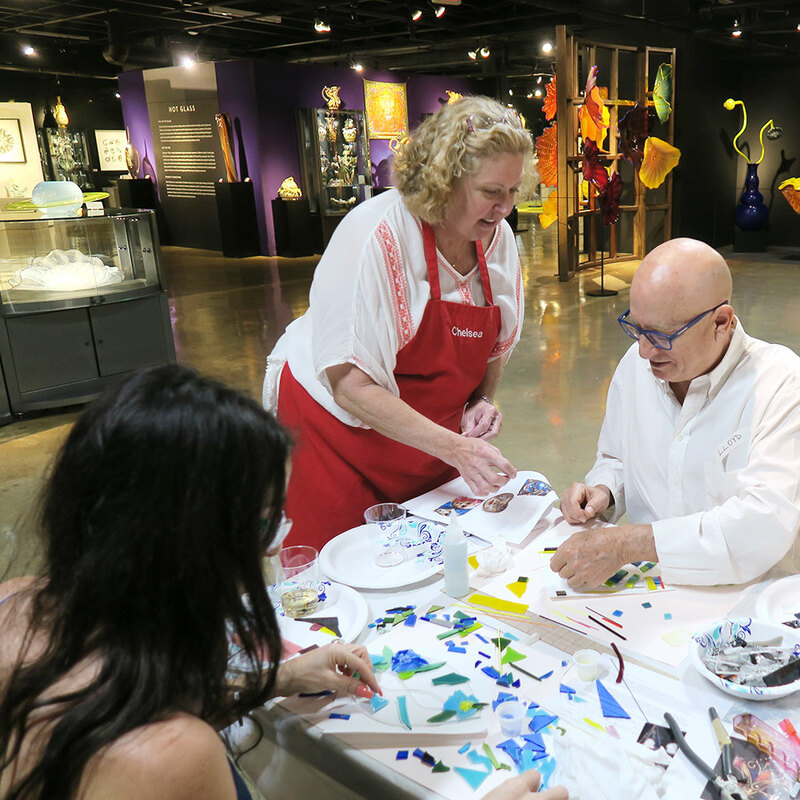 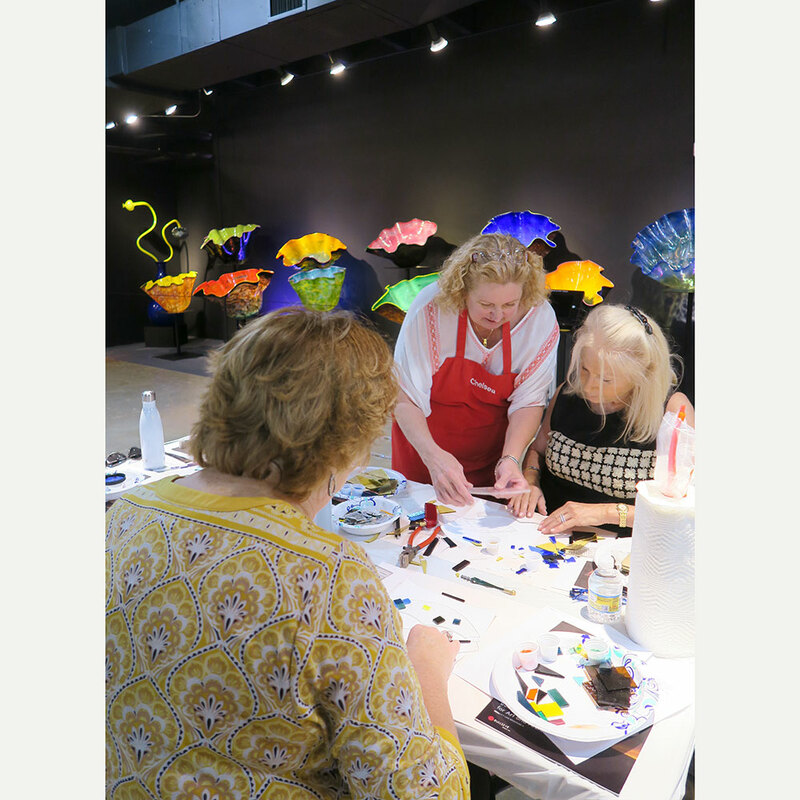 The Chihuly gallery at the Wiener Museum was the setting for a very successful glass class on the afternoon of Friday, February 9th. 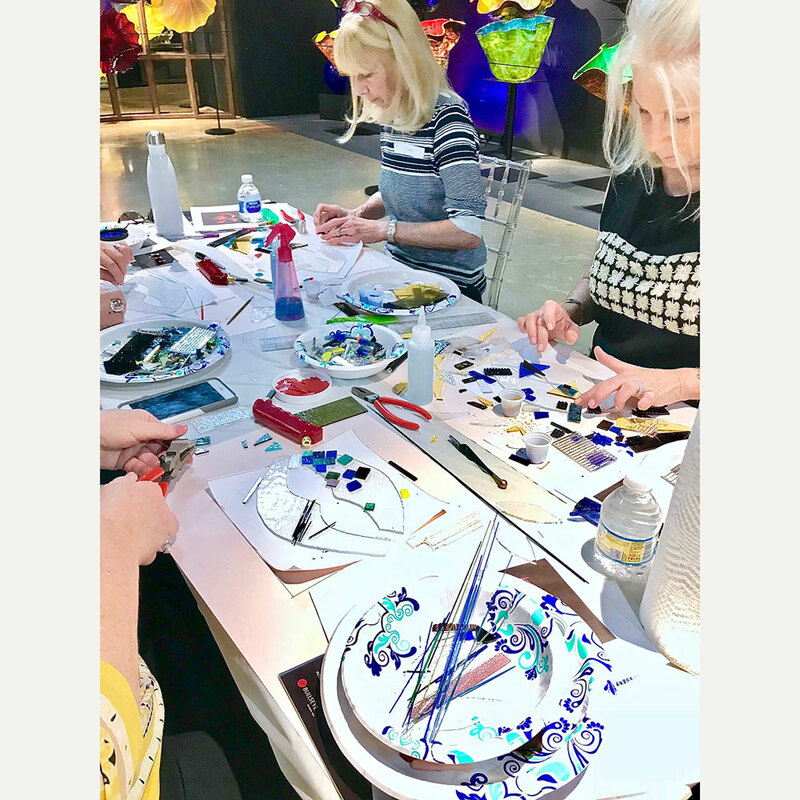 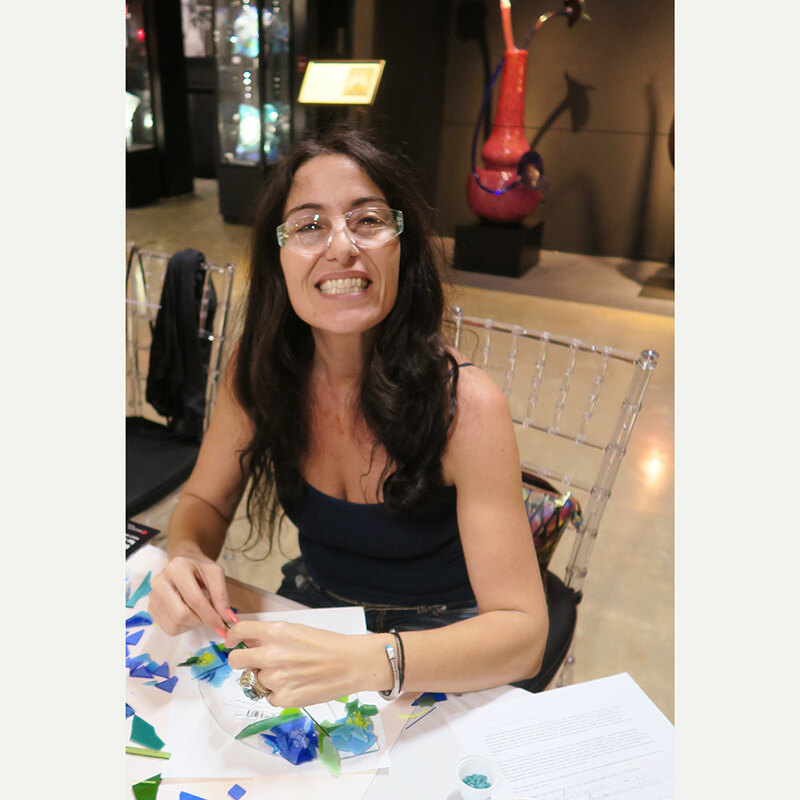 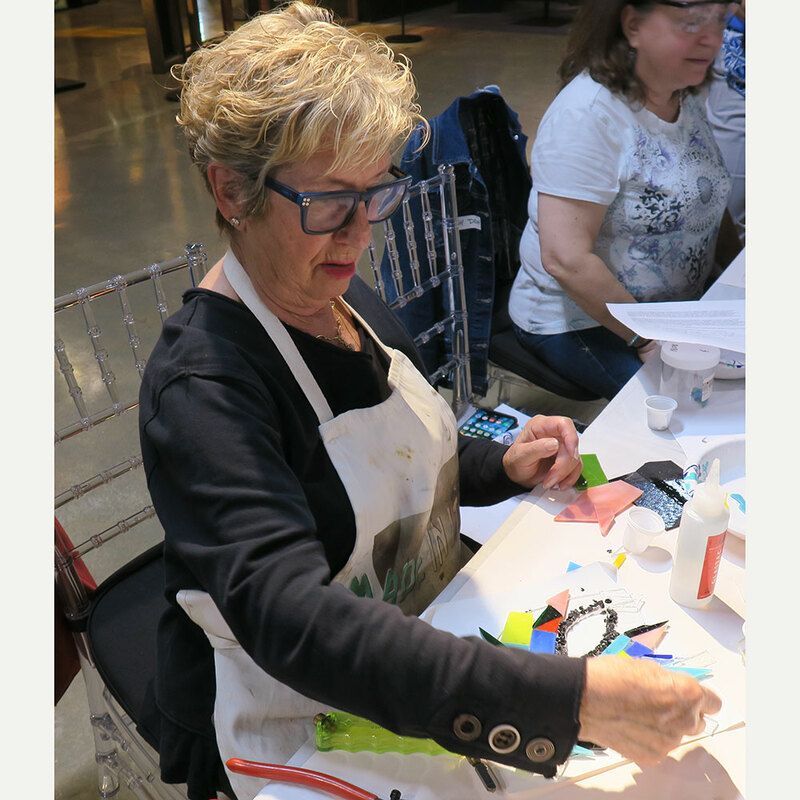 Fashion designer and fused glass teacher, Chelsea Rousso, led the class ably assisted by Anne Orvieto and Lori Brown. 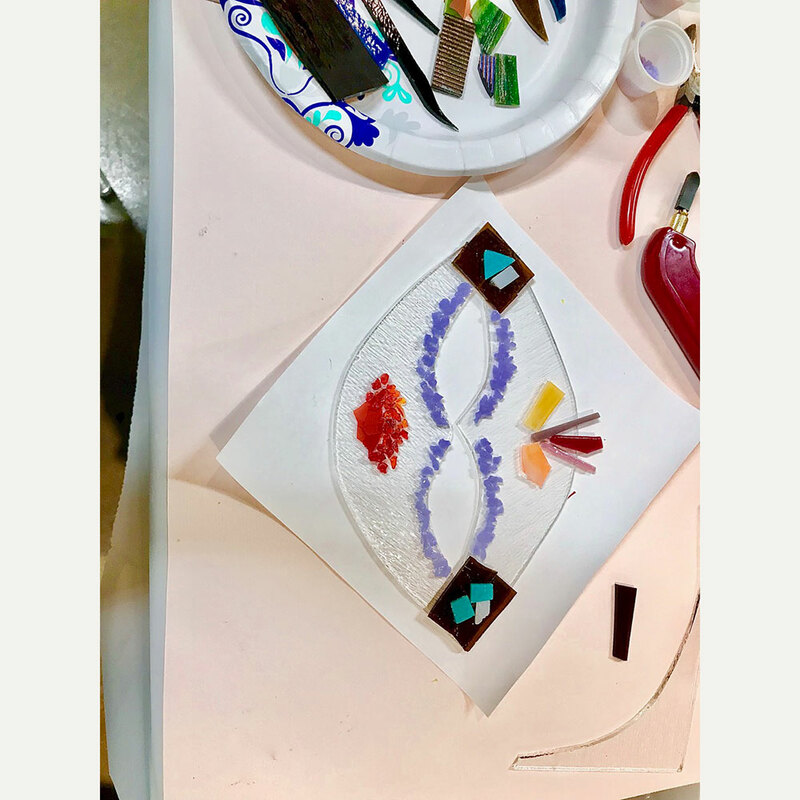 Eighteen students made Venetian style wall masks of colored Bullseye glass to tie in with our current Carnival & Cabaret exhibit. 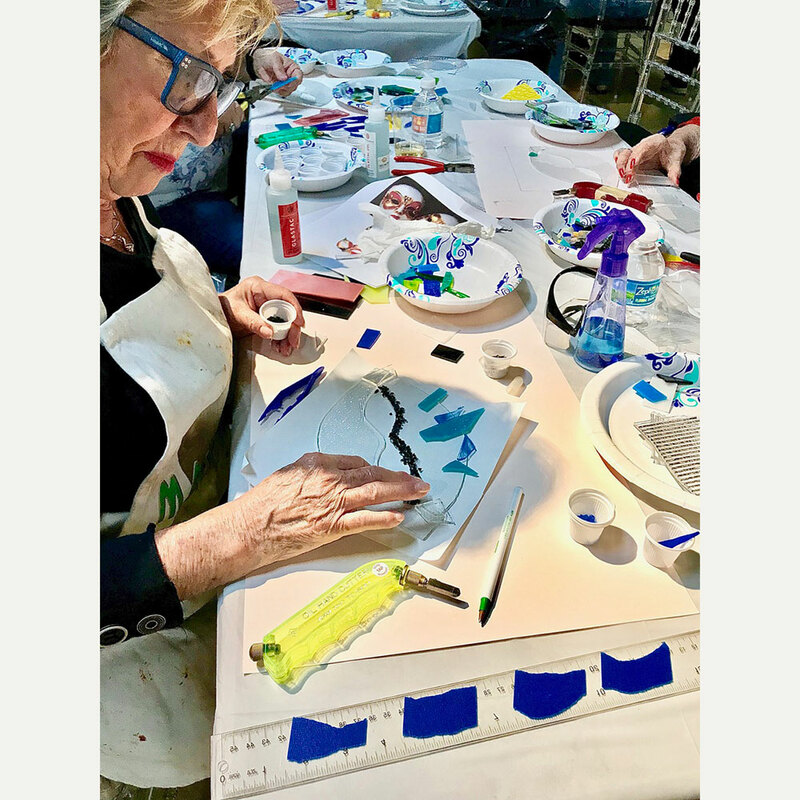 The quality of the work was outstanding with first time amateurs working happily alongside more experienced artists experimenting with a new medium. 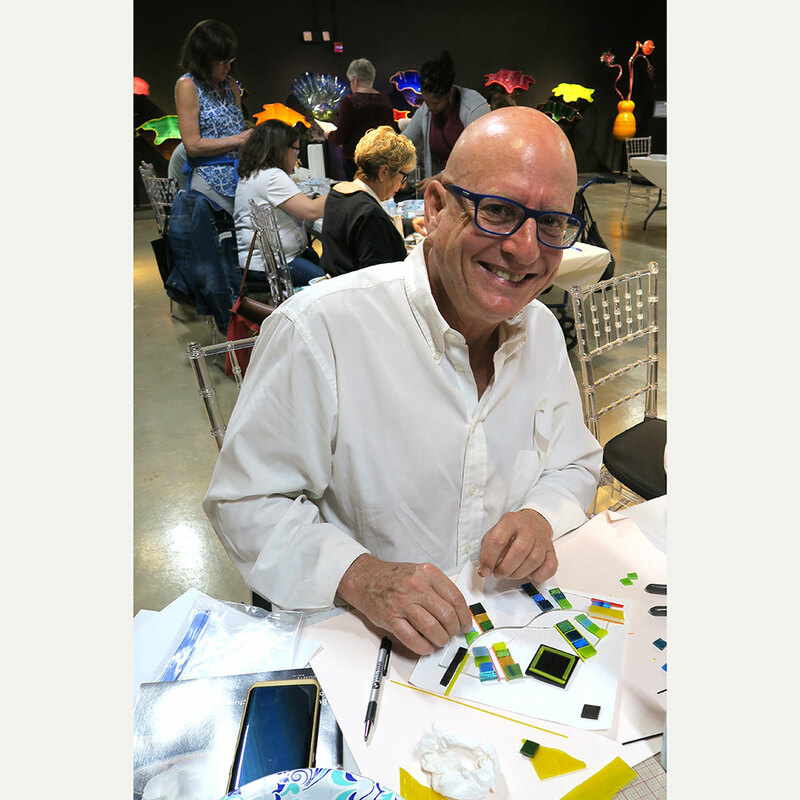 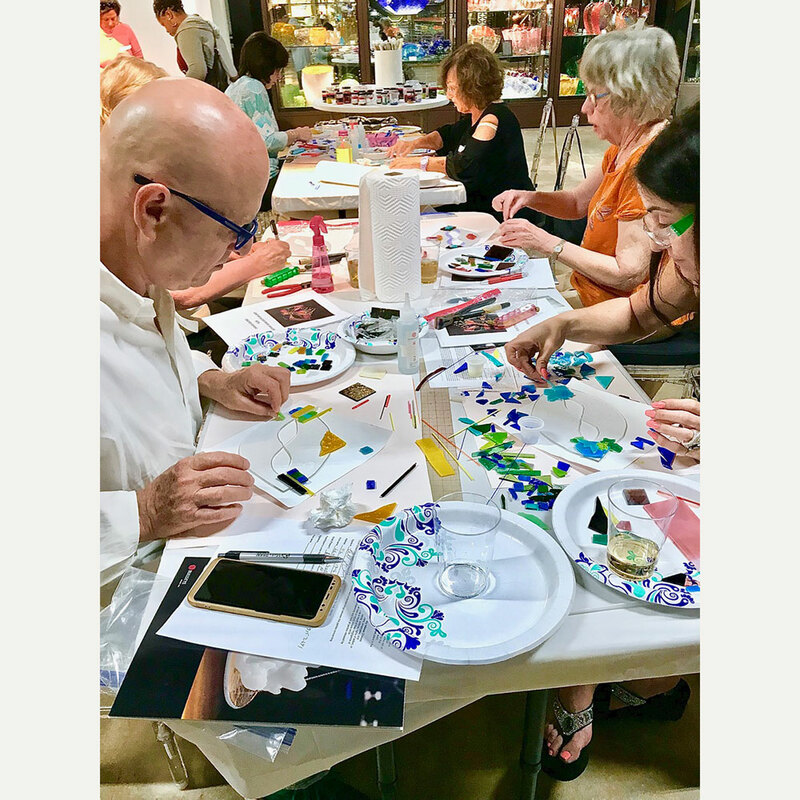 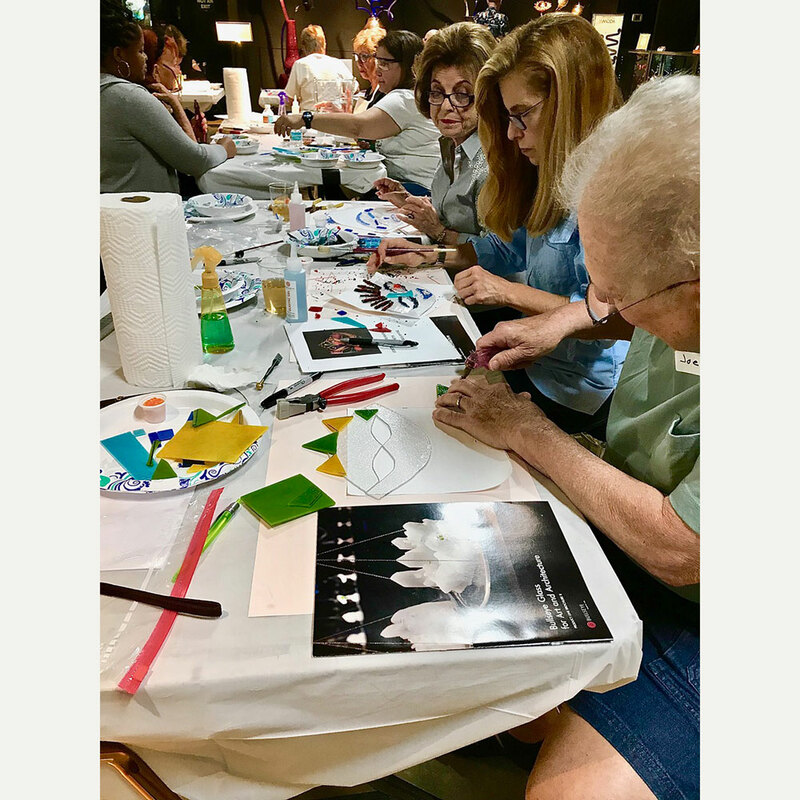 Lloyd Goradesky, the artist and photographer behind the acclaimed water installation Gator In The Bay, tried fused glass for the first time and was full of praise for Chelsea’s class. 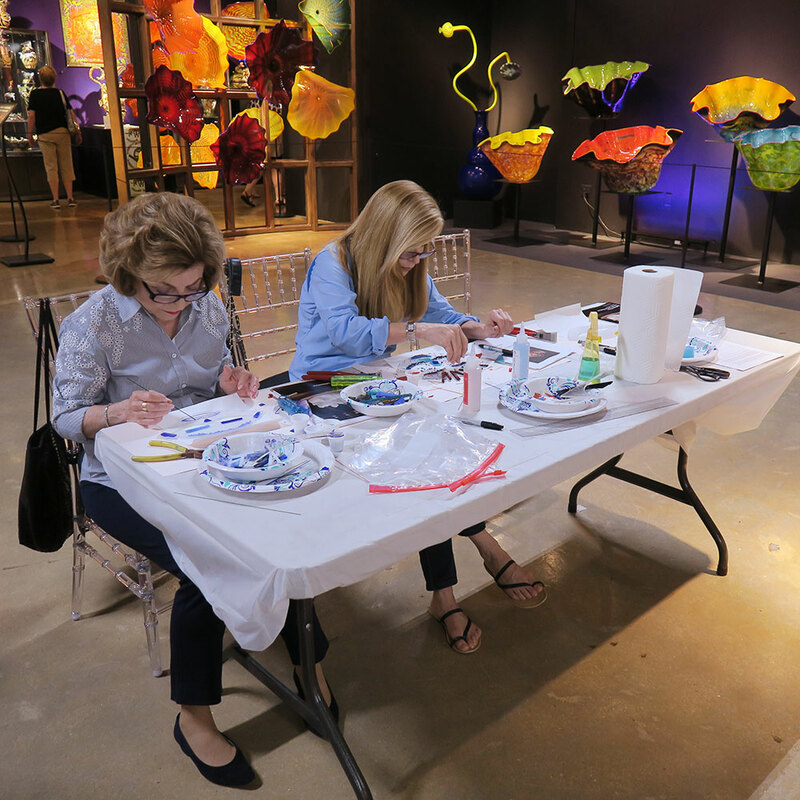 The fired finished works of art will be ready for the students to pick up at WMODA later this week. 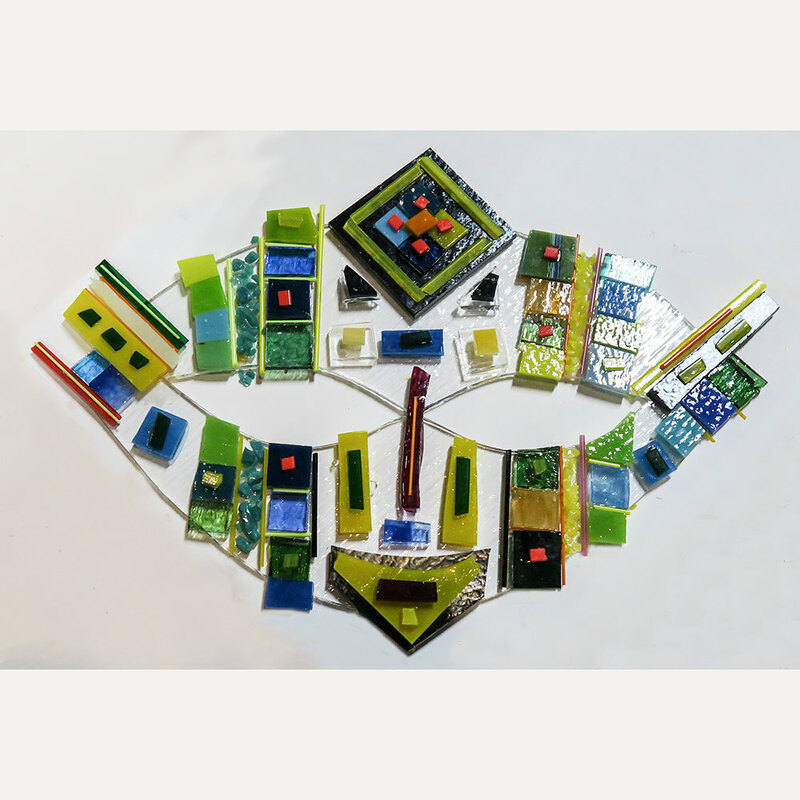 If you would like to try glass fusing, check out our ‘taster’ evening on March 7th.